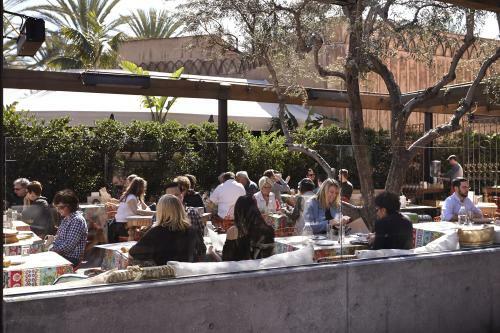 For a quick lunch, head to The Melt and grab a seat outdoors (the perfect spot for people watching at Irvine Spectrum). Enjoy the sunshine while eating guilty pleasures like the Mac Daddy, egg-in-a-hole, or chicken melt. Head to this Italian eatery after the sun goes down. The outdoor seating area is all lit up for a perfectly romantic setting that complements the decadent Italian dishes on the menu. Afterward, head around Irvine Spectrum for some world-class shopping. 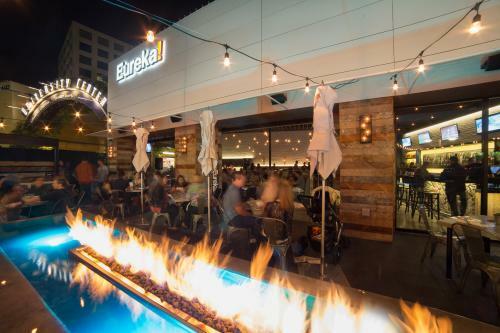 For a quick but delicious lunch near John Wayne Airport, check out Mick’s Karma Bar. Enjoy a juicy burger (and perhaps an ice tea mojito or basil lemonade) while soaking in the sun outside in Main Plaza. This sandwich shop is a favorite among UC Irvine students. From Vietnamese banh mi to meatball subs, this cafe has every kind of sandwich you might want. Best of all, there’s ample outdoor seating to enjoy your sandwich outside. 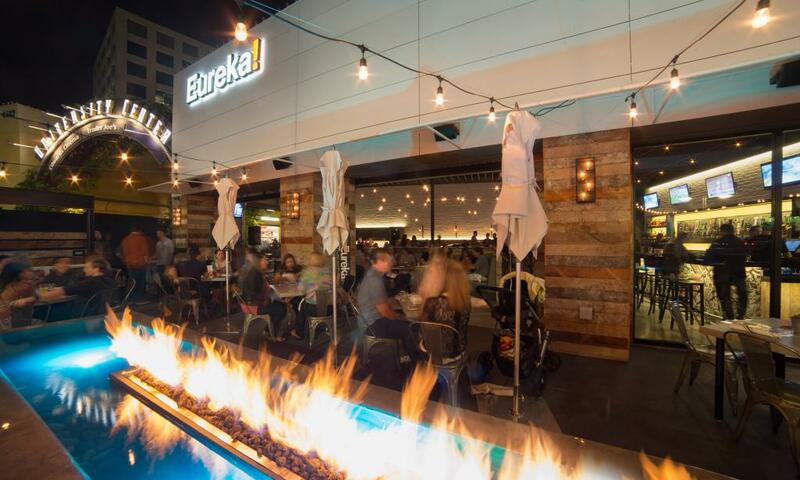 The outdoor seating at Eureka is the perfect spot for dinner thanks to romantic lighting making it a great spot for date night. It’s the best place near the university to grab a mixed drink or brew, as well as dishes like the pan-seared salmon, flat iron dip, and Napa chicken sandwich. Ashley Burnett is a writer and editor living in southern California. Her work has previously appeared in Locale, LA Travel Magazine, TravelAge West and various other publications. Occasionally, a guest blogger will write a post on behalf of Destination Irvine.